I’ve heard about fasting from a religious aspect, and recently from friends who aren’t doing it for any religious reasons. So naturally…. I got a book from the library! 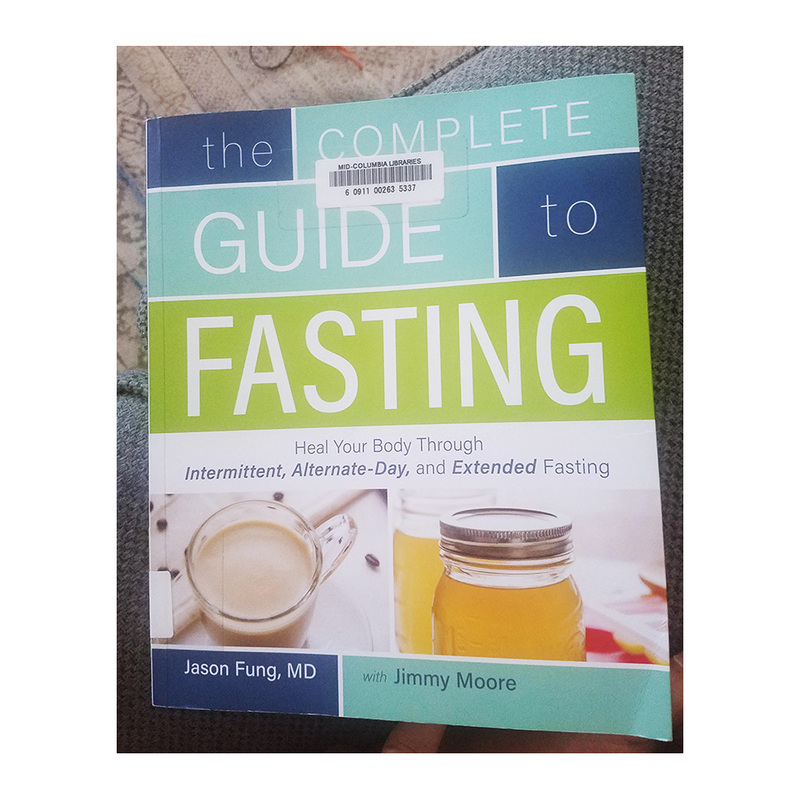 The book I grabbed is The Complete Guide to Fasting. Part of my personality is green (researched, analytical), so I wanted to learn more about it before jumping in and trying it out myself. This book has tons of information, I was very glad to have this random library pick turn out to be such a gold mine of education! Where do we learn about what is good for our bodies? Health class in 6th grade? Food & Nutrition in college? What our parents tell us? Commercials about drugs we might have to take when we’re older??? I will say, I don’t remember much when it comes to education on how to take care of our bodies. 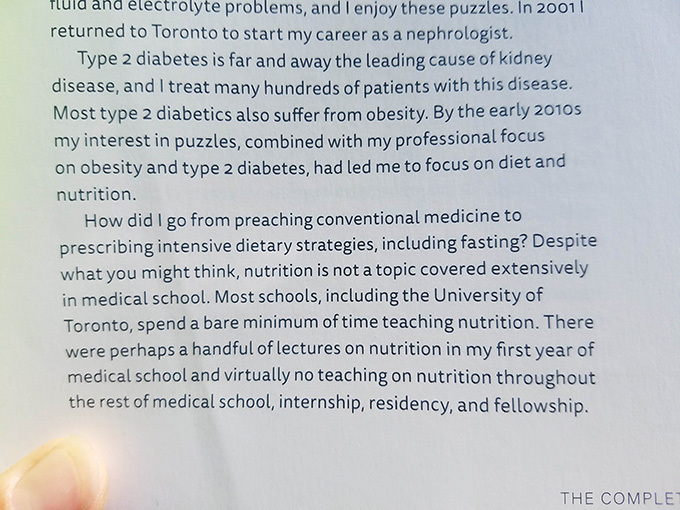 Maybe a paper with the old food groups shown (I’m talking 20ish years ago, and how things probably have changed since that little piece of paper…). Maybe videos we watched in elementary PE about keeping physically active. But with changing times and scientific studies, there is a plethora of education out there for us to learn about. 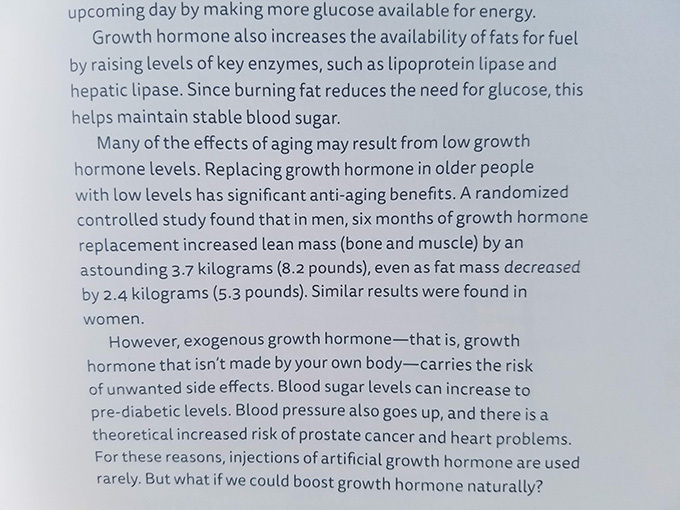 So I’m glad to say that I did learn some things I didn’t know, especially about how diabetes works in the body. Good to know when it is commonplace in your family, but no one really teaches you about it…. right?! Here are some snapshots I took to share on social media. Because when I find interesting stuff that might be life-changing for someone, I definitely share it! Does that spark your interest and make you want to learn more? Grab this book from your library and make time to read it! Find a support group if you want to give it a go. My friend added me to one on Facebook that is called intermittent fasting for women. After I was mostly done reading through the book, I decided I was ready to give it a go! 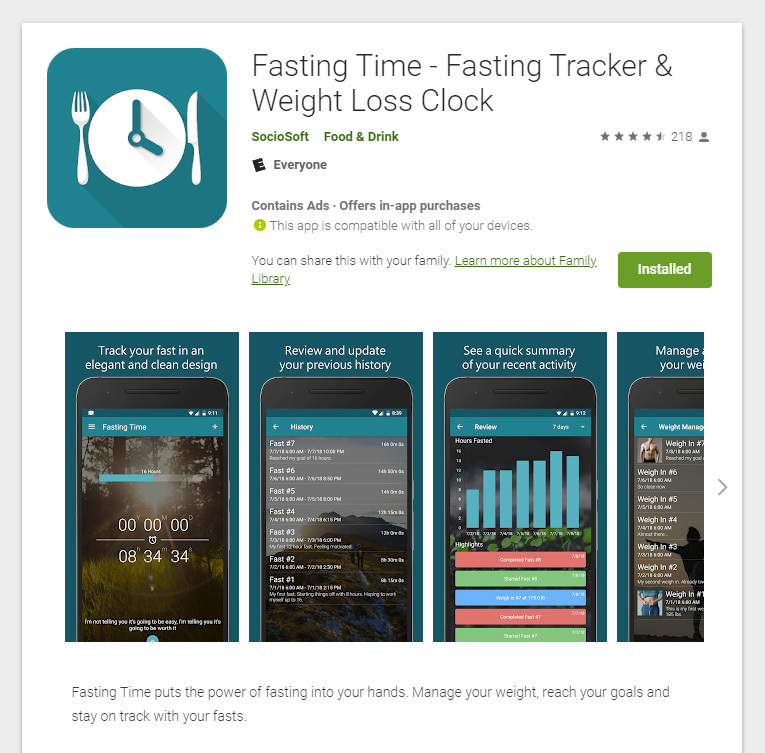 I downloaded this app, Fasting Time, for extra help in keeping me on track. Plus, being able to see the reports is lovely for my visual learning process! I had been having the Healthy Grains Kind bars as an evening treat after my kids went to bed, so when I ran out of the box I had, I decided I was ready to start! My first night, I ate dinner then hit the ‘play’ button on my app. No food after dinner. Done. Not as hard as I thought it would be either. A tougher challenge, my beloved nut-based creamer in my coffee in the am. Now, I do what I guess is considered a ‘dirty fast’, since I do have coffee and ghee butter and sometimes spices like cinnamon or Thieves Vitality essential oil in my coffee. A ‘clean fast’ is simply just water during your fasting period. I don’t generally eat breakfast at what most consider a normal breakfast time of day. Honestly, I’m not hungry. Coffee will do it until usually around 10ish am. So for fasting, I just needed to swap my sugary creamer for a tiny bit of fat flavoring of ghee butter (is what I chose) and I’ll sometimes add in my cinnamon or Thieves for flavor. However, when I needed to buy more coffee, I went with the hazelnut, which provides enough flavor so it isn’t black black coffee hahaha (yeah, not a fan of black black coffee). I was kinda worried that it would be tough mentally, since that’s what a lot of ‘hunger’ comes from, is your mentality. It wasn’t as tough as I was prepared for though! I still eat treats during my ‘feasting’ time, so I haven’t cut sweets/sugar out completely (I do LOVE food!). My first ten fasts went very well. 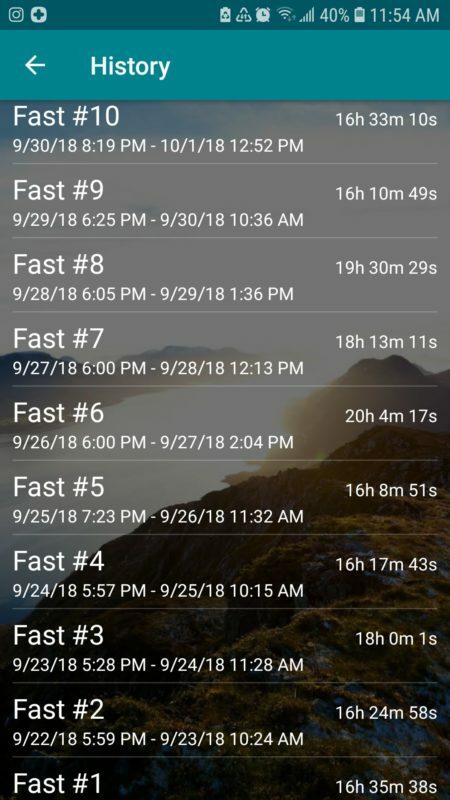 Here is a screenshot of my first ten fasts using the Fasting Time app. My goal time for these fasts was 16 hours. That means 16 hours of the day you’re fasting, and you have an 8 hour window during the day to eat. Commonly referred to as 16:8 intermittent fasting. Most of these days I was ready to eat right at that 16 hour mark. Others, I wasn’t feeling hungry for awhile after I surpassed my goal. I decided to take a break after ten days straight of fasting, and took off one full day. My plan going forward is to fast 10 days, take one off, and so on. In the Facebook group I mentioned earlier, I noticed a thread pop up talking about autophagy. Big, sciency sounding word I had never heard before, so I decided to read through the thread a bit and do a bit of research. Autophagy is the condition whereby the cells start to recycle damaged and garbage parts (defects) into basic elements thereby allowing the cells to remodel itself. In the thread, they mentioned that autophagy didn’t start until at least 16 hours of your fast. 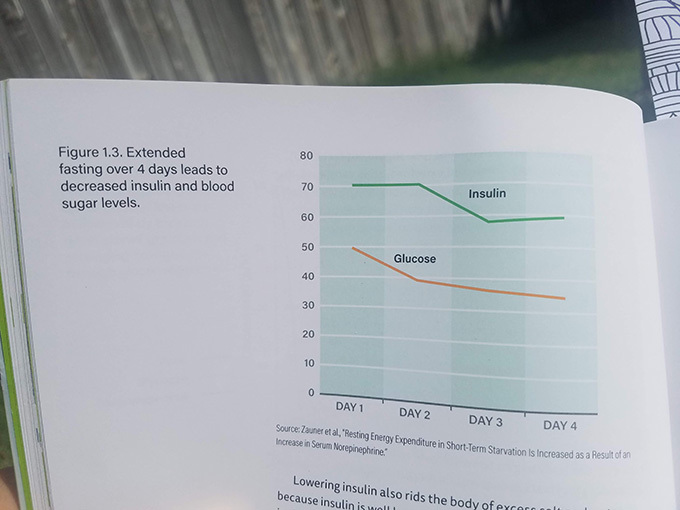 Basically, what I took from the small amount of reading I did, is that if I want to keep all of my cells the healthiest they can be, I want to push my fasting to be longer than 16 hours. So, starting with Fast #11, my goal is to be at least 18 hours into a fast before I break it. And honestly, it’s a bit tougher. I’m feeling the hunger more than I did when my goal was just 16 hours. I’m currently just about to wrap up Fast #15, so I can’t say much else right now. I am doing what’s considered intermittent fasting. Meaning, I do eat every day in a small window of time. 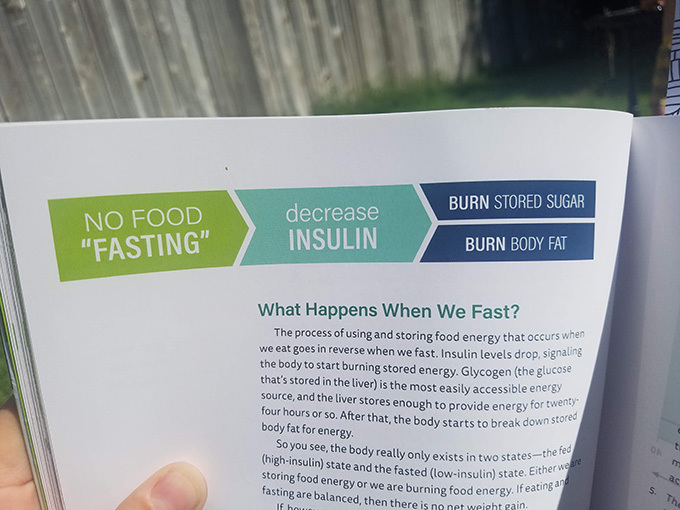 I am interested in trying an extended fast, meaning (to me) longer than 24 hours of fasting. I am totally interested in the weight lost ‘side-effect’ of fasting, but I’m mostly focusing on creating and maintaining the healthiest body for myself. It’s also worth noting that fasting is not for everyone. 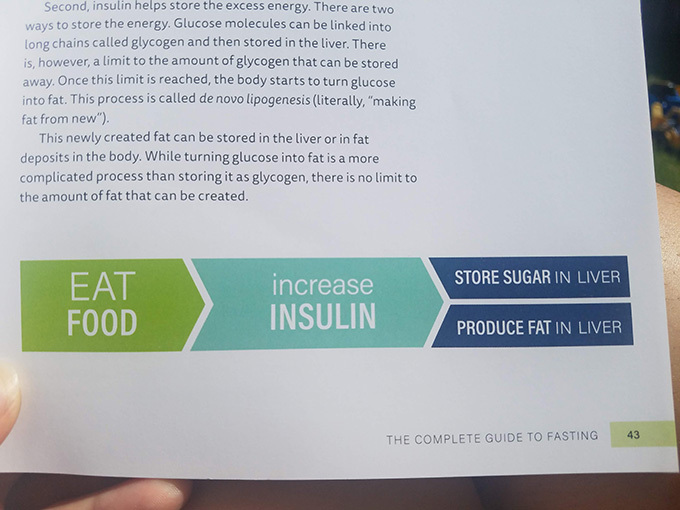 Please do some research before you decide to try fasting. If you can read the book mentioned above, do it!